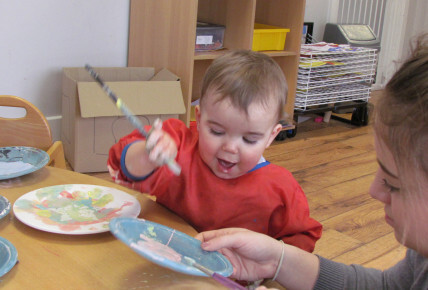 Children have made some beautiful gifts in preparation for this year’s Mother’s Day this year. 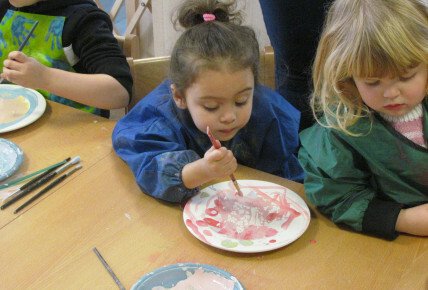 We have invited Potz Ceramic Studio to join us for a morning of fun. 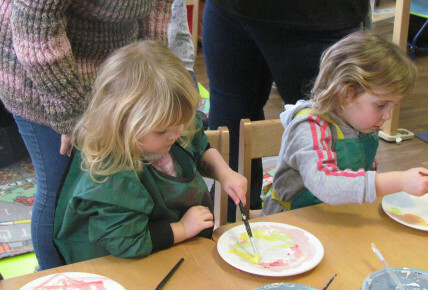 Children participating in this activity got to decorate their plate with their own unique design, using a wide selection of child-friendly paints and a variety of resources, from brushes to fingers and more... Help was also at hand to support even the youngest designers. The plates were then finished with individual messages, glazed and finished off back at the Potz studio. 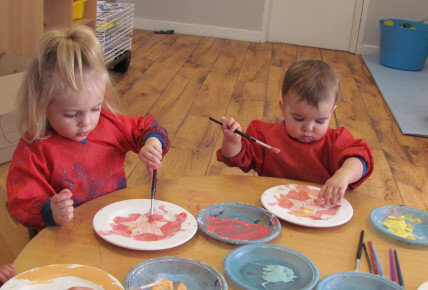 It was a lovely experience for all ages – younger children were curious exploring paint texture, mixing colours and making marks on their plates, while pre-school children loved creating their own finished patterns and seeing the final result as the plates came back from the studio. 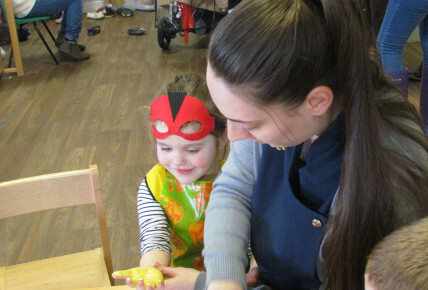 We hope, mums loved their little gifts too. We would like to thank Potz for their child-friendly and professional approach.